McLaren’s Honda Formula 1 car had its curtains lifted at the British Grand Prix venue Silverstone, erstwhile a filming day. The development Formula 1 car by McLaren, the Mp4-29H, was taken for its maiden spin on the tracks of Silverstone, showing off Honda’s new V6 turbo engine, for some early stretch. The crucial information gathering exercise was steered by test driver Oliver Turney, just before the pre-sessions start. 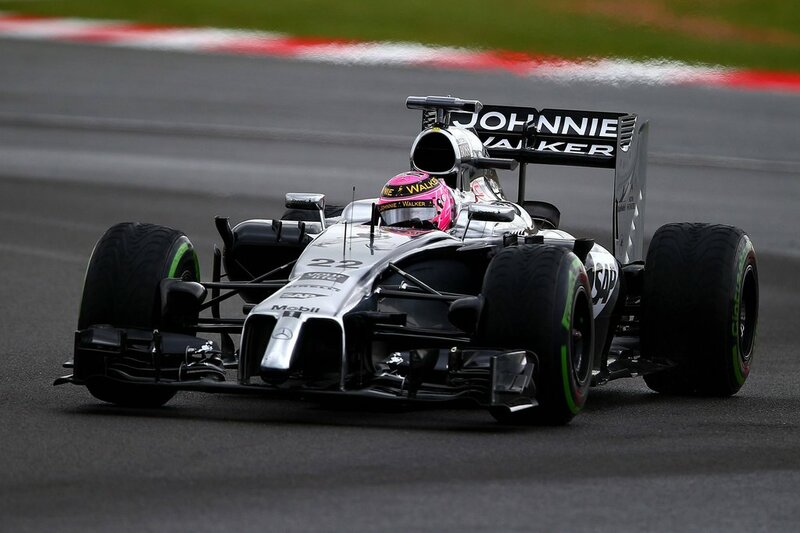 As the sporting regulations of F1 permit only a 100km run during filming days, the interim MP4-29H was able to cover only 16 laps of the smooth Northamptonshire circuit. Despite this precise run, the team is expected to gather all the relevant information, including the new engine’s performance, before D-Day. Expecting victories in the 2015 season, Honda is committed to delivering fast and efficient engines, for staging its comeback to the Formula 1 races. The MP4-29H’s performance is a silent indicator of the same. The test run would also make certain whether the car is ready for a run post the Abu Dhabhi Grand Prix experiment. Honda and Oliver have both posted pictures on their official twitter handle, sharing a glimpse of what is to be a winner car for Honda.